Hunters scout for deer to try to kill them, so why wouldn’t you find deer to find antlers? Where there is food, there are horns, so find the winter feeding and you’ll find antlers, as long as you beat your neighbor. Deer live near the wintering grounds where they don’t have to travel hard for food, especially in cold, snowy states, so make sure that you find those standing crops and feeding grounds. Another good spot is a south facing hill side. In hilly country, bucks bed here in the sun in the afternoon and it can lead to a dynamite spot for sheds. If you are still running your trail cameras, this can help you know when your bucks lose their antlers. If you have consistent deer on camera, and you see the antlers fall, there is a good chance you’ll be able to find it. Also, use the cameras to scout new areas where you can find antlers near food and bedding areas. Some people have an eye for sheds, plain and simple. These people can teach you a lot about finding antlers and will help you become better. Even if you have to give him all the antlers you find, it can be a valuable learning tool and one that will help you out. Have your partner call you over before they pick up any sheds and make you find them first. It will help you recognize the way antlers look on the ground. 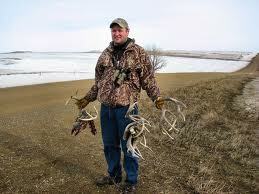 Finding sheds is tough work and you will need to cover a lot of ground. It’s great exercise and can help you get in shape for the spring. Sometimes though, walking isn’t enough. If you’re looking to cover some more ground such as fields and open areas, a good pair of binoculars and an ATV will save you a lot of time and can put more bone in your backpack. Teach a dog! Dogs that can learn to find shed antlers are becoming more and more common and what better partner to have in the field than man’s best friend! 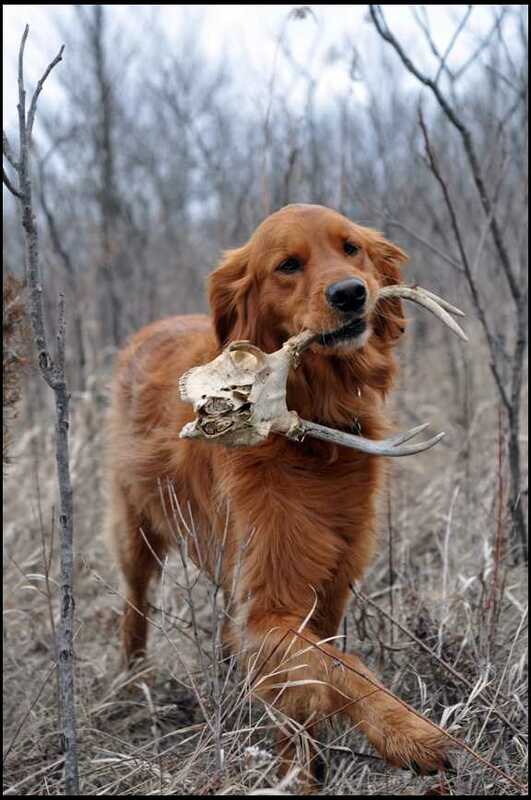 If you have the time to train one, and the money to purchase one, consider getting a shed antler dog. You won’t regret it. Find out more about shed hunting such as when deer drop their antlers and the best times to start finding sheds.